4-Plex- Get it while you can! Vacation Rental License in hand. 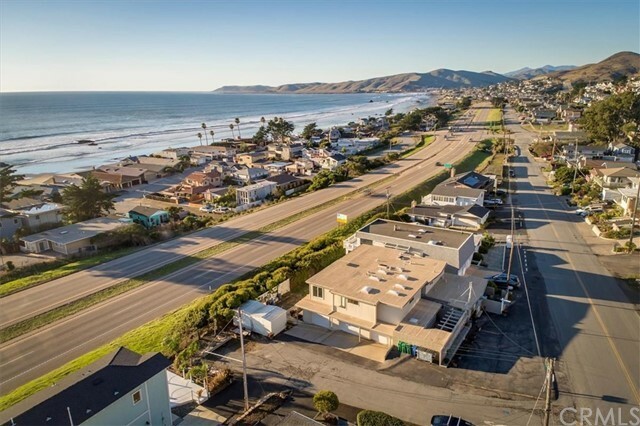 Major Head to Toe Renovation on this Panoramic Ocean View 4 Plex!!! (3) Two Bedrooms and Studio. Top 2 Units have excellent views! This is a very flexible investment opportunity to park some 1031 $$$. ALL units have been upgraded in some manor, everything resurfaced, three carports were enclosed to garages, and overall functionality brought back to the property! Property is on a Corner Lot with Side Street access for garages and extra parking. Location for a Vacation Rental is great! Just down the street is a traffic light crossing to the beach! A large Two Bedroom Unit to the South is the premiere Unit, Wide and Open with View Deck. The North Unit Offers similar Views! The Lower Two Bedroom is more a private unit with large porch and faces the back yard. There is a front Studio Apt with enclosed private outdoor space. All the Two Bedrooms have interior Laundry. In between the units are two community rooms or additional storage areas ($$$). The yard space offers plenty of room for community gardening or as seen fit. Two large storage sheds are also included. Seldom does a property with these views and income producing functionality come to market! Get some income and enjoy Cayucos!